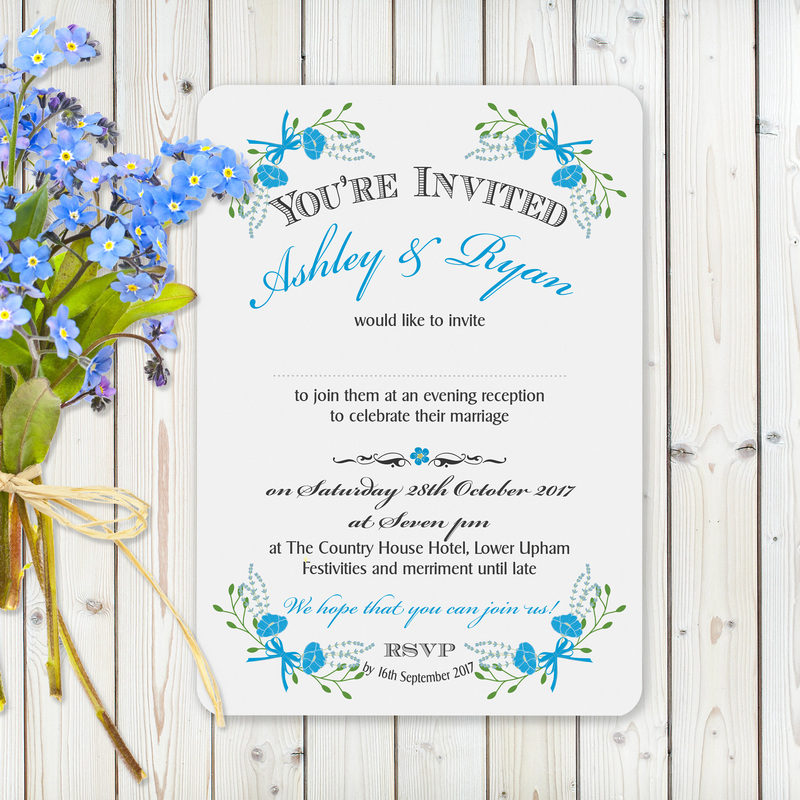 Floral Fantasy Blue on White Card – Evening Invitation | Feel The Magic Ltd.
Make a statement with these handmade poster style cards with a vintage floral look with a range of colour and card options. Our ‘Fantasy Floral’ A5 invitation makes it simple to order and personalise to your own wedding and features a floral motif design. This listing is for an A5 invitation printed on 300 gsm and your choice of brown kraft envelope or white envelope only. 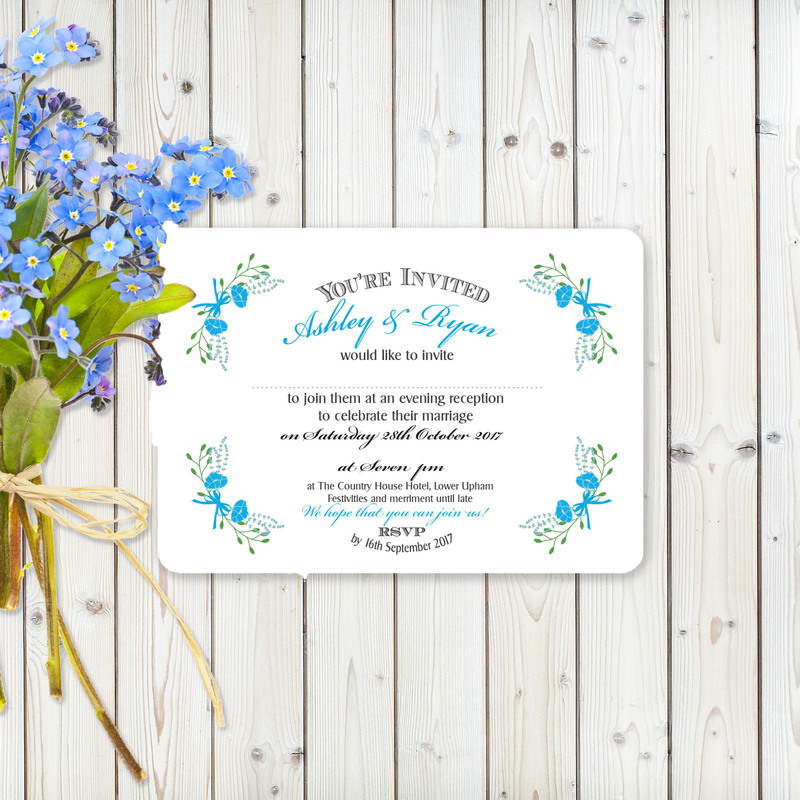 This collection is designed for brides looking for an informal rustic wedding invitation with a floral theme and can be used for both day and evening invitations together. 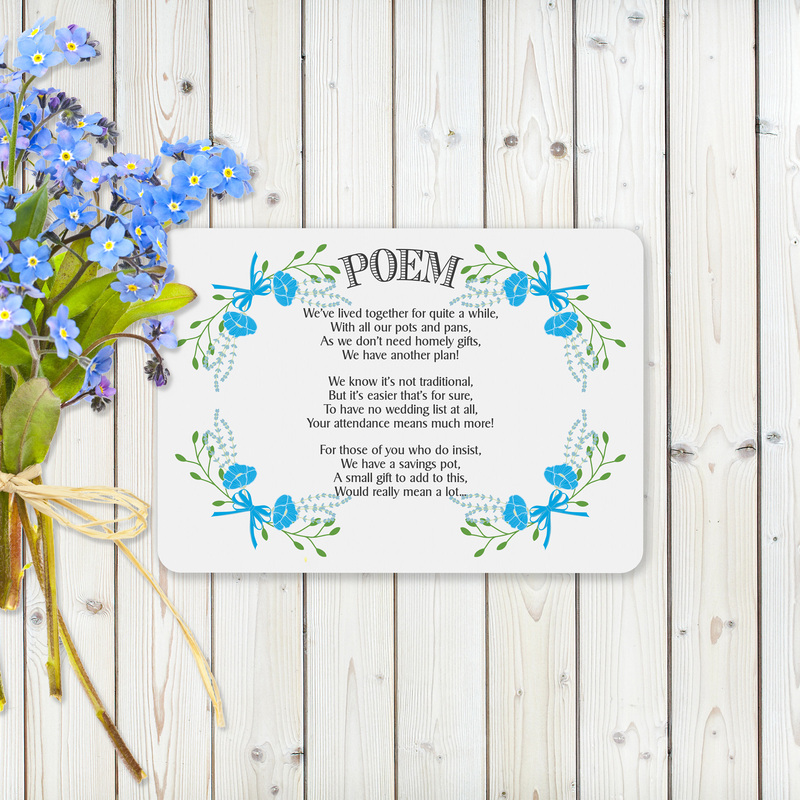 We can also offer this invitation as a set which along with the invitation includes an A6 (105mm x 148mm) postcard style RSVP card (which is printed both sides and includes your return address) and a third A6 size card which can be either a Wedding Poem or Information card. We can also supply additional cards, just let us know what you need and we will provide you with a quotation. Each invitation set is supplied with a good quality envelope to match the style and presentation of this vintage set. 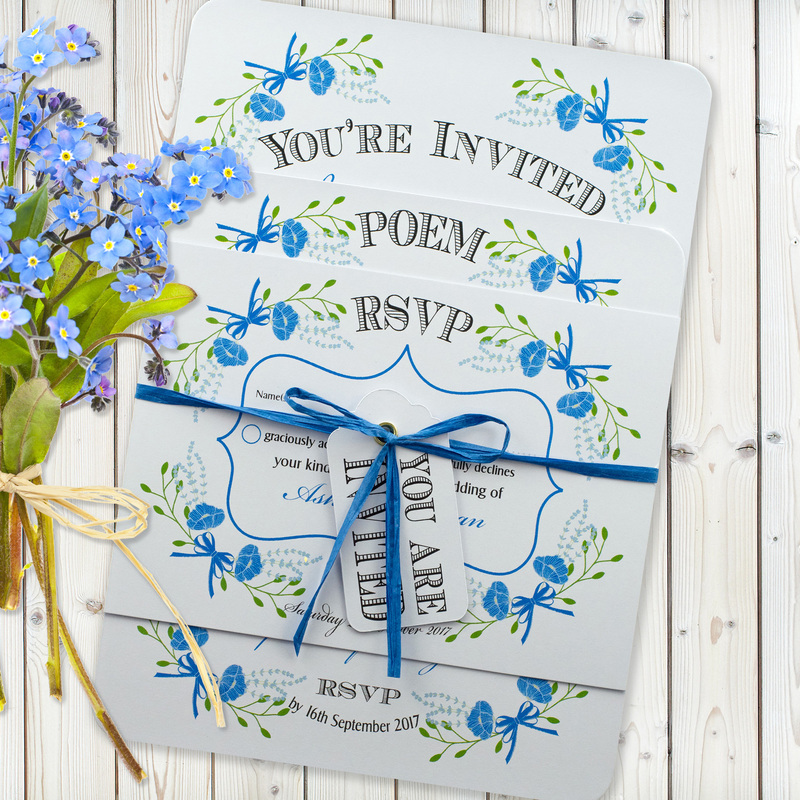 This offer is for a packs of 20-100 personalised invitations printed with your own wedding details, which can be sent to us by sending an email to admin@feelthemagicweddings.com. Personalisation is really simple and straightforward. 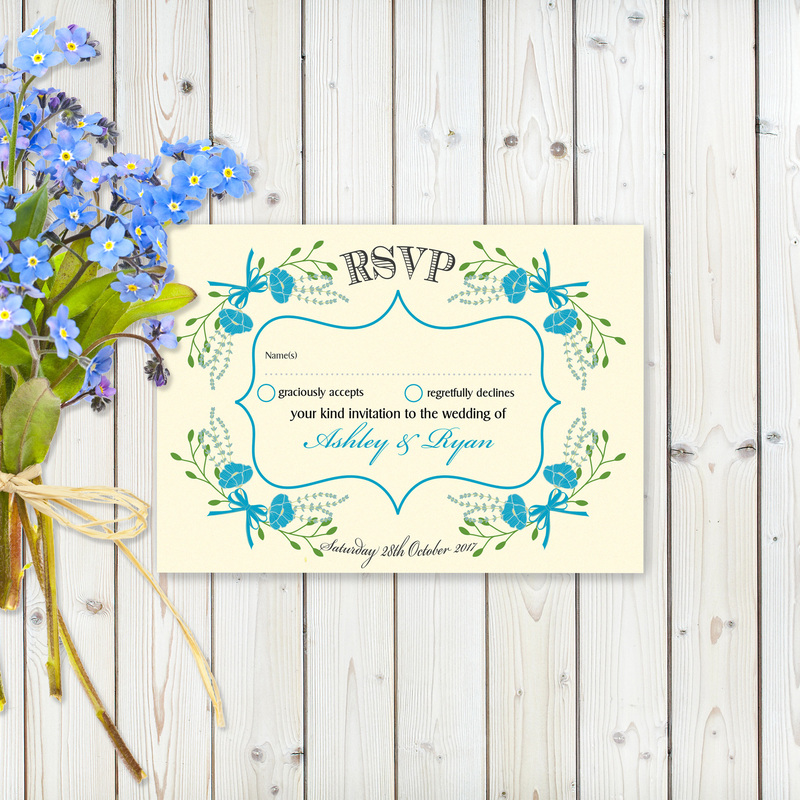 If you have selected any custom messages for your order, send that information along with the following details so we can send you a digital proof with how your invitations will look. Once we have received this information and you have approved your digital proof, we will start putting your wedding invitations together.